After Audi unveiled the facelift version of Audi A3 sedan and Audi A4 diesel, the Audi A3 Cabriolet has also recieved an upgrade with a new model launched at a price of INR 47.98 lakhs (ex-showroom Delhi ). The company offers many facelifts and cosmetic changes on this offering. The premium German brand, Audi has brought a new design for the LED day headlamps with a more pronounced hexagonal grille and aggressive bumpers. A slight re profiling has been done for the tail lamps and the rest rear remains the same. Audi does not dissapoint as the car is well equipped coming with a dual zone climate control, leather upholstery and a 7 inch MMI infotainment screen, satellite navigation and also front and rear parking sensors. The parking sensors are also teamed up with a camera and five airbags ensure safety on the package. The car also has various options such as Bang & Olufsen hi-fi sound system and smartphone integration. 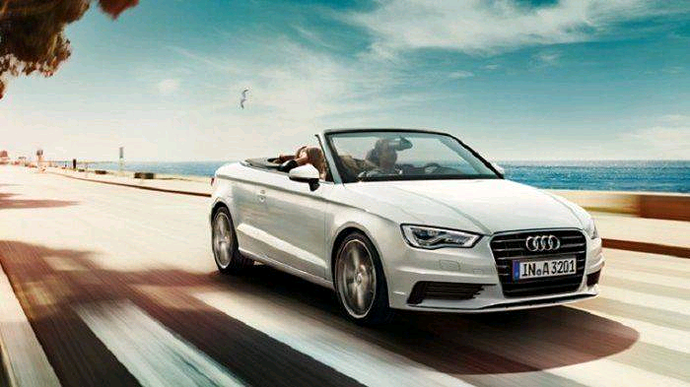 The Audi's A3 Cabriolet has downgraded from a 1.8 litre TFSI petrol engine to a 1.4 litre TFSI engine. Now the engine generates a power of 150 hp from previous 180 hp which is a letdown but the torque remains same at 250 Nm. Here the company achieves a combined fuel economy of 19.20 kmpl. 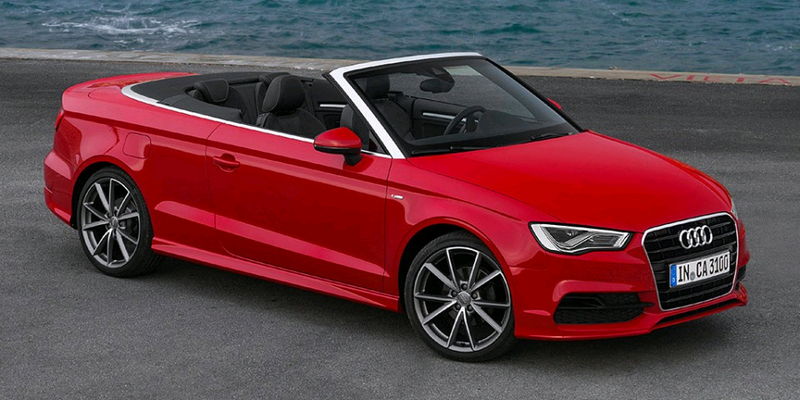 The model is available on order basis along with the recently out Audi A3 sedan facelift. Also Audi will launch Audi A4 diesel later this month.